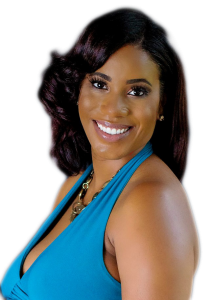 Alexis Nicole White is an entrepreneur, author and inspirational speaker. As a graduate of Purdue University, Alexis dreamed of climbing the corporate ladder. However, life and relationship experiences have birthed another passion in Alexis. Today, this writer and speaker is passionate about raising awareness about emotional abuse in relationships. Her memoir, The Covered, highlights her journey with experiencing emotional abuse and how she survived and thrived. Her goal is to help other women, young and old, do the same – survive and thrive. I am inspired to write when I am allowed to tell a story in its integrity and depth. I want readers to connect with their characters. I am a non-traditional writer; I don’t have a process. I sit in front of the computer and I begin to write. Do your research before you began to consider any publishing company, promotions company, anyone that will say they will or can be of benefit to you and your project. I decided to self-publish to continue to build the Alexis Nicole White Media brand, which is a subsidiary of my company An Executive Solution. The future of book publishing is changing very fast, which is why I believe it is important for one to do their research.